Obituary for Teresa A. Schultz | Dimon Funeral Home and Cremation Services, Inc.
Teresa A. 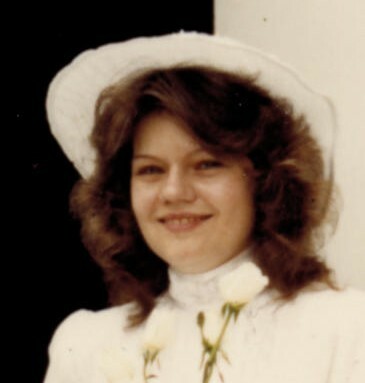 "Terri" Pinkerton Schultz, 58, of Middletown, passed away Tuesday, January 29th at the Hershey Medical Center. Born in Harrisburg a daughter of Susan Sovich Pinkerton, formerly of Lykens, currently residing in Palmyra and the late William Pinkerton, Sr.
Terri was a 1979 graduate of Upper Dauphin High School. She was employed for over 29 years as a package handler with UPS, Harrisburg. She enjoyed reading, caring for her pets and spending time with her family, especially her two sons. In addition to her father, she was preceded in death by her husband William Schultz, 2007. Surviving in addition to her mother are two sons, Zack D. Schultz, Harrisburg and Justin T. Schultz, Middletown; one sister, Susan Weidensaul and one brother, William Pinkerton, Jr., both of Palmyra; mother-in-law, Glenda Geist, Williamstown; nieces and nephews. A Celebration of Terri's life will be held on Wednesday, February 6th at 11:00 am from the Chapel of the Dimon Funeral Home, Inc., Tower City with Pastor Annette Shutt. Visitation will be from 10-11 am. Private burial will be in St. Peter's Cemetery. In lieu of flowers, donations may be made to The Hope for Stroke Foundation, 485 Old Willow Avenue, Honesdale, PA 18431 or UCP Foundation of Central PA, 55 Utley Drive, Camp Hill, PA 17011. To send condolences or view video tribute visit www.dimonfuneralhome.com.